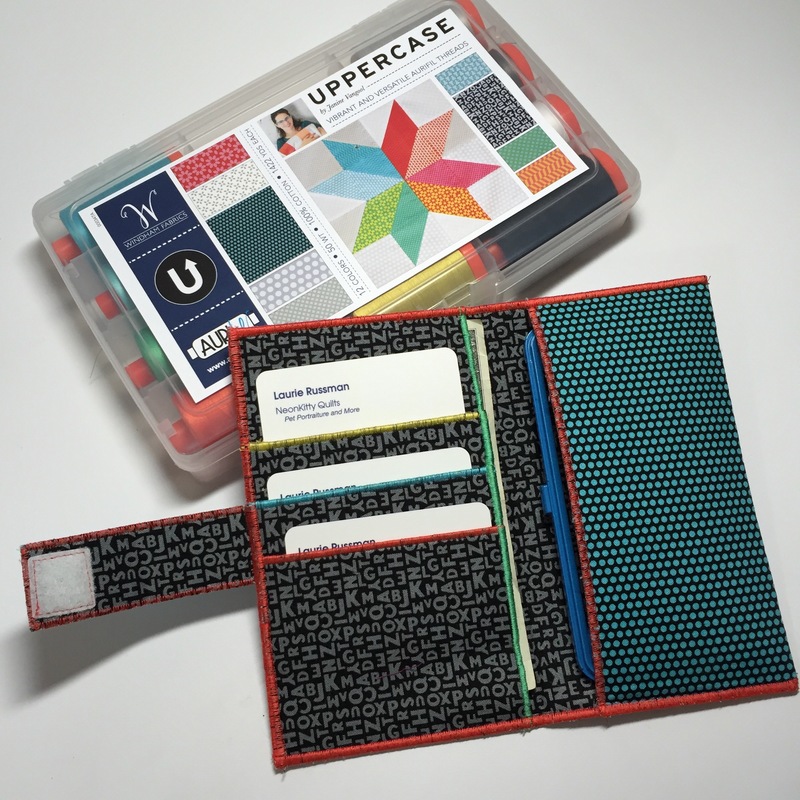 Continuing my obsession with Janine’s new fabric collection and the coordinating Aurifil thread collection, I thought it would be fun to experiment with a case to hold all of our necessities (well I’m still working on the lipstick…). 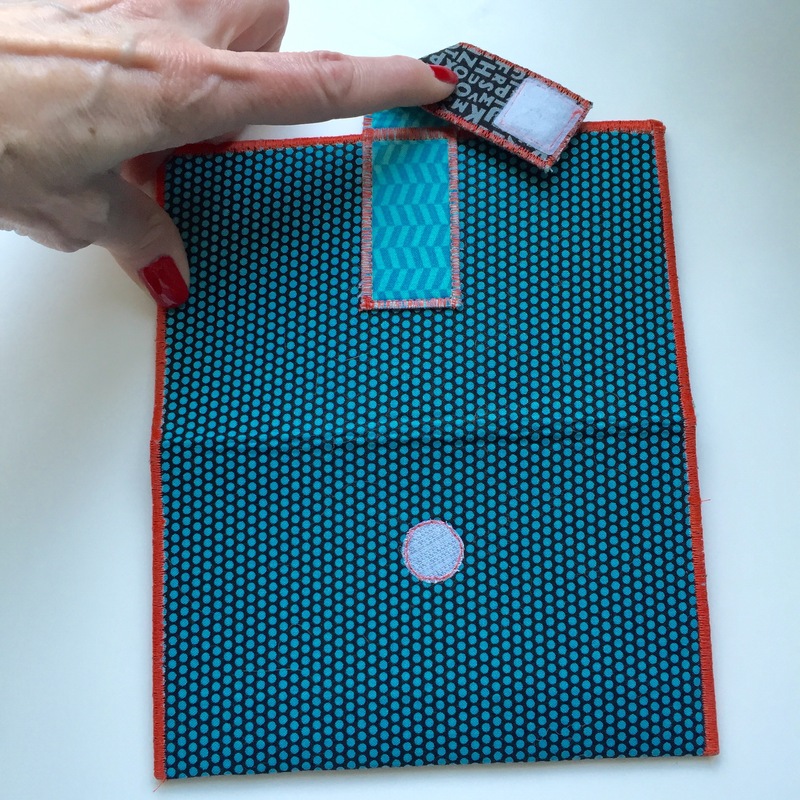 This project is a fantastic use of small pieces of fabric and my favorite Pellon fusibles. Precise measurements will depend on your phone! 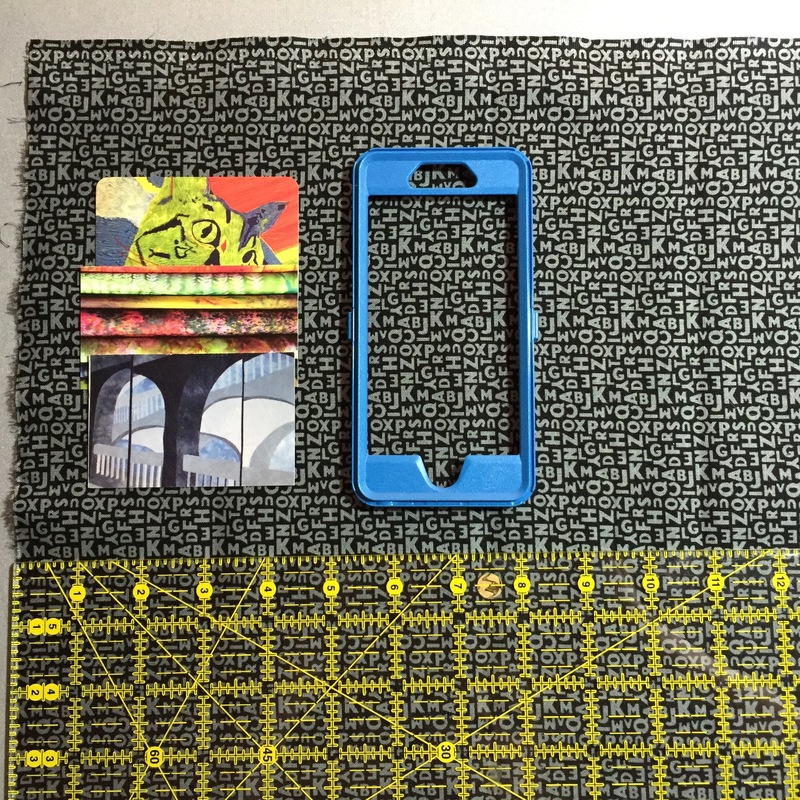 So, line up some credit cards or business cards on the left, and your phone on the right…plus enough fabric to create a pocket for the phone. Work on the card-holder piece first. For this, you will need a long piece of fabric that is 4″ wide (my only exact recommendation!) and long enough to fold up 3 or 4 times to hold cards. The finished length will be identical to your desired length of finished piece (remember, the size of your phone determines this measurement). 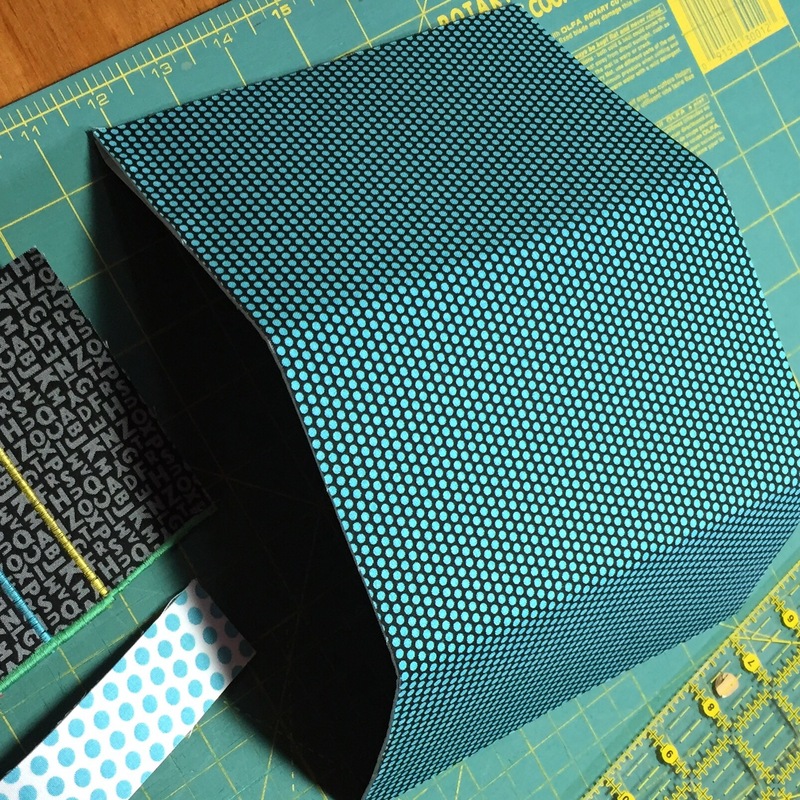 If you like these folds, they are at 3″ and 1.75″ intervals. I strongly recommend cutting a longer piece than you think you might need so that you’ll have enough to trim! Stitch each of these folds with a pretty thread…them stitch down the right side (this will be the opening to the slot for paper money). Make sure to use a large enough Topstitch needle…either 90 or 100…because you will be stitching through lots of layers! 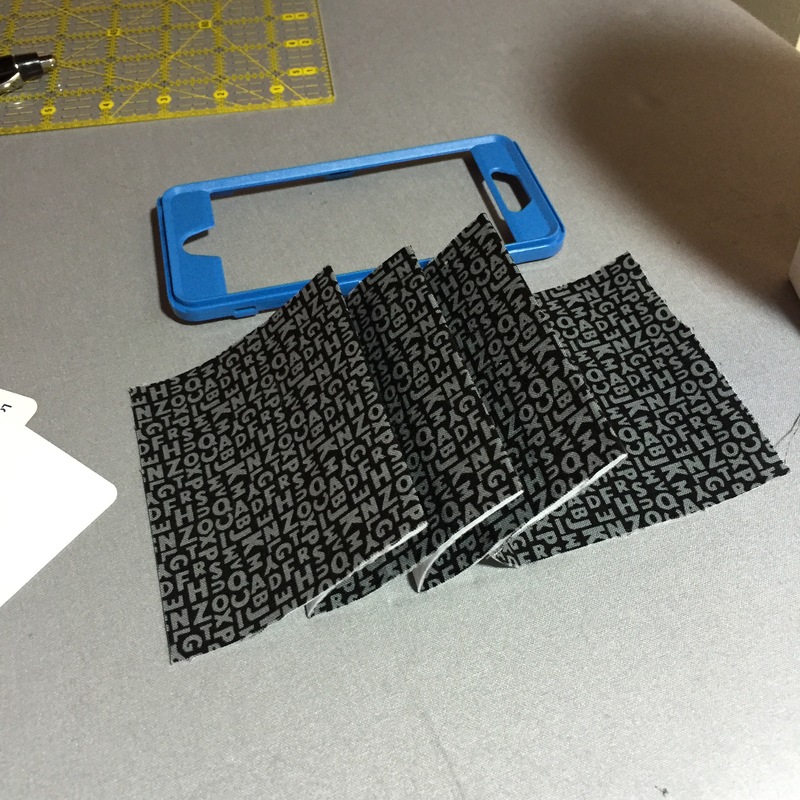 Next, fuse a fabric to each side of a piece of very stiff fusible (I love Peltex II)…this will be the body of your piece, so begin with a piece that is at least 15″ wide, and the length of your phone + a margin (for my model, about 2″ total). 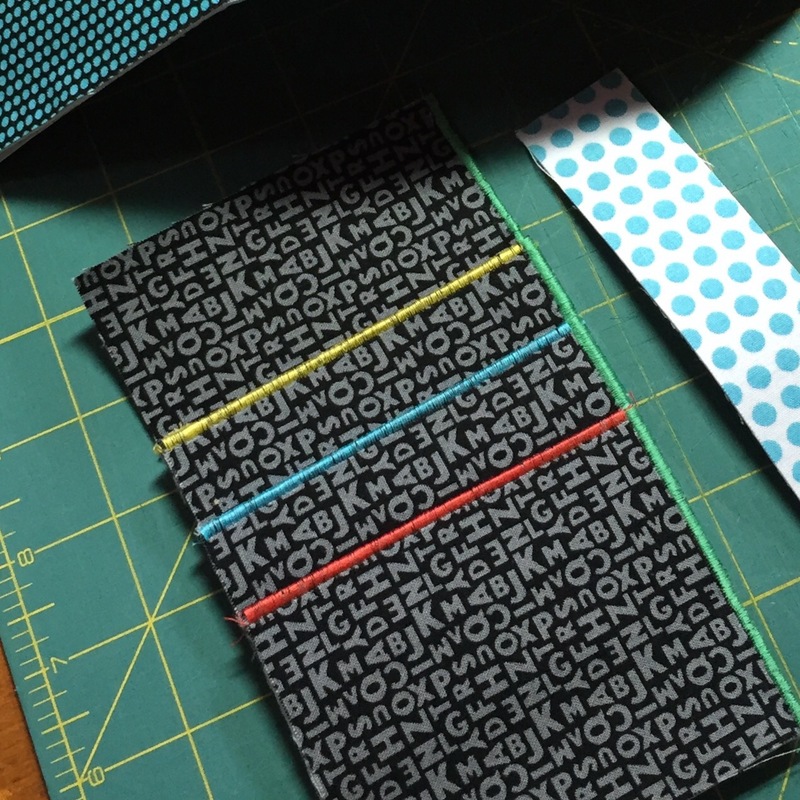 You will also want a piece for a tab that will include a closure, either a snap or a hook/loop pair of dots. 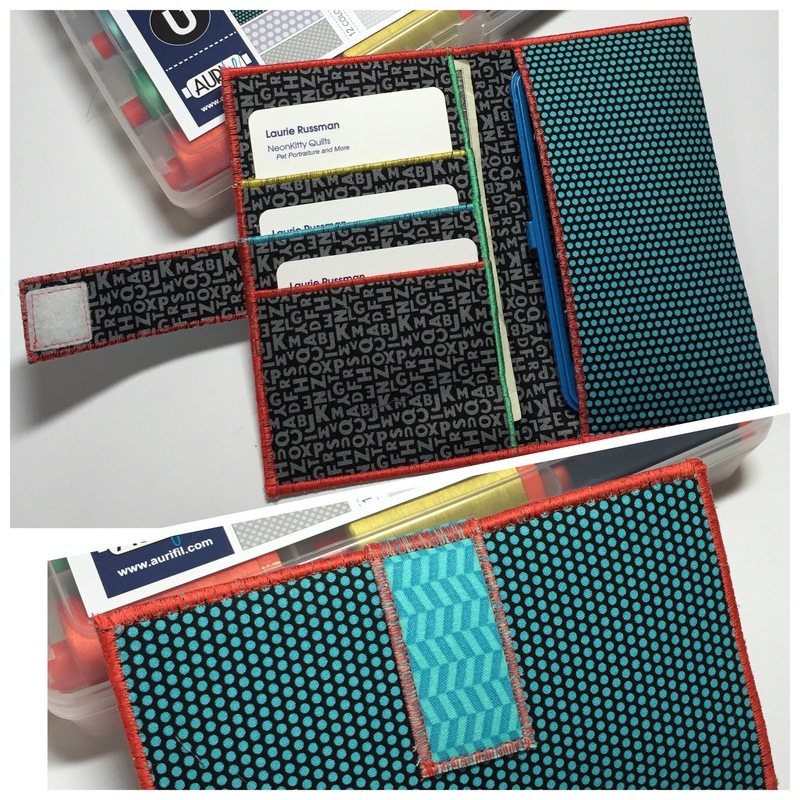 Carefully line up the card-holder on the left inside (unstitched) edge and attach the 3 rough edges to the larger piece with a line of zigzag stitching. If desired, stitch around piece again. All set for running errands :)! This entry was posted in Uncategorized on May 28, 2016 by neonkittyquilts.